An 'Outing' of Historical Proportions- an article about E.R. 's possible bisexuality, by Cliff Arsen, a gay rights activist who was friends with Roosevelt during his childhood and adolescence. 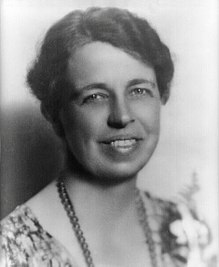 TeddyRoosevelt.com: Information about Eleanor and her favorite, famous uncle Teddy. , Mrs. Roosevelt dies at 78. New York Times Obituary, November 8, 1962.